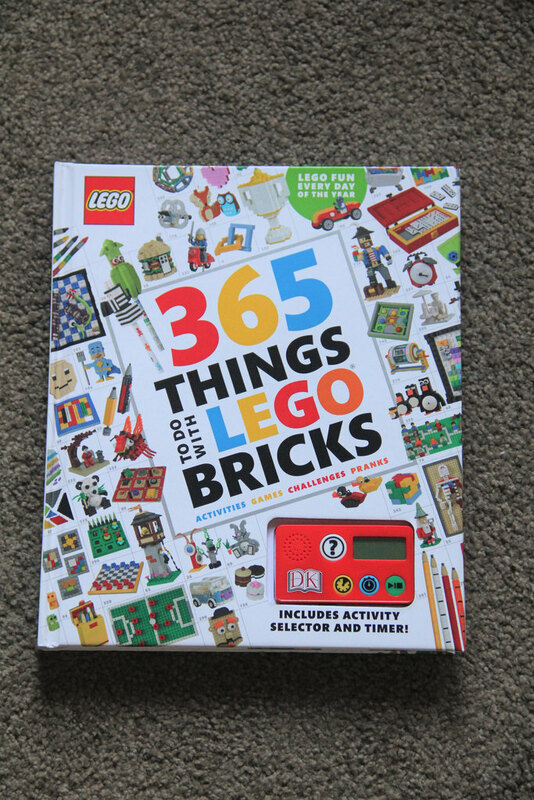 ​DK Publishing is at it again with another beautifully created hardcover book, 365 Things To Do With LEGO Bricks. It’s been around 6 months since my last book review, and after receiving a copy from my parents for Christmas, it was perfect timing. 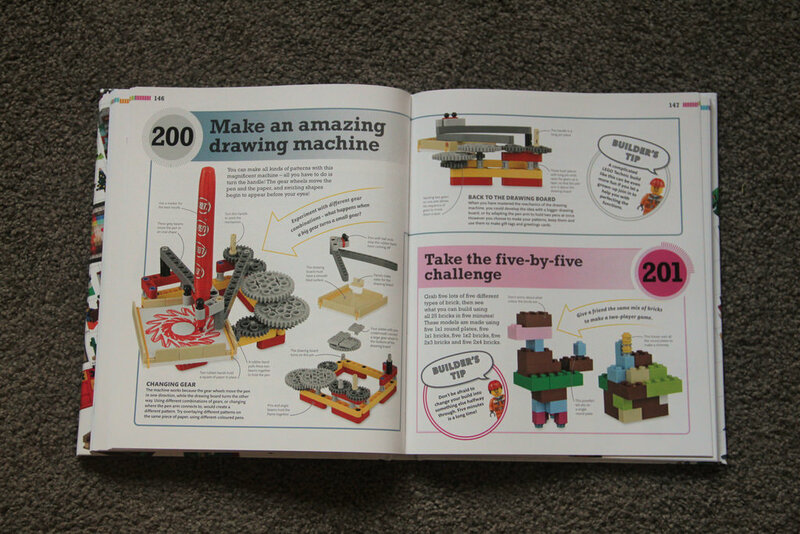 As we all know, there are loads of possibilities when it comes to LEGO bricks, and this book outlines just 365 of the options. That’s not all though, and this is where the book gets interesting. ​The front of the book is actually a double hard cover, with an inside section that folds out. The selector and timer included is a random number generator. 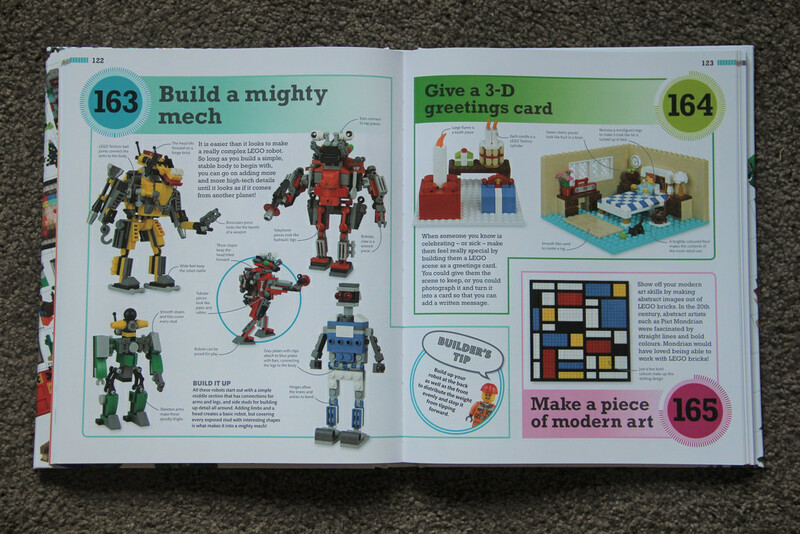 There’s instructions on the inside inside cover (yes, that’s the inside inside – open the cover again!). 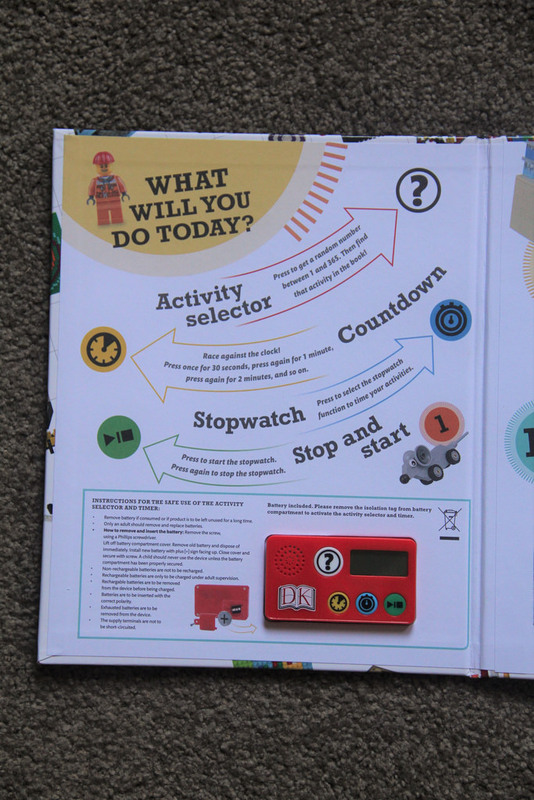 Press the button to get a random number between 1 and 365, find the activity in the book, and either race against the clock or use the stopwatch feature to play that activity. I pressed it a few times to see what I would get, but I’ll get into that in a minute. First, let’s go over the basic structure of the book. ​A good place to start with a book is of course the cover! This cover is beautifully printed, and is chock full of the 365 things to do. The instructions for the timer are clear and concise, and all the images are inviting and make you want to start building straight away. 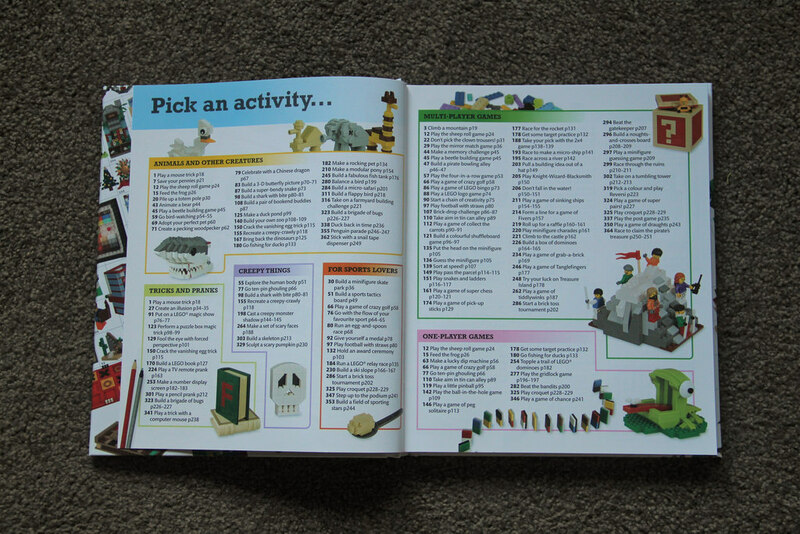 ​The book has 25 different activity themes, from animals and other creatures, to games of all varieties, tricks and pranks, group challenges, storage, desk ornaments, brainteasers, minifigures, microscale, travel and more. The variety in this publication is staggering. There’s also a section to help you figure out what to do to start off. Each activity has a time symbol to give you an idea of how long it should take, with some taking less than 15 minutes, to some taking over an hour, to as long as a weekend. 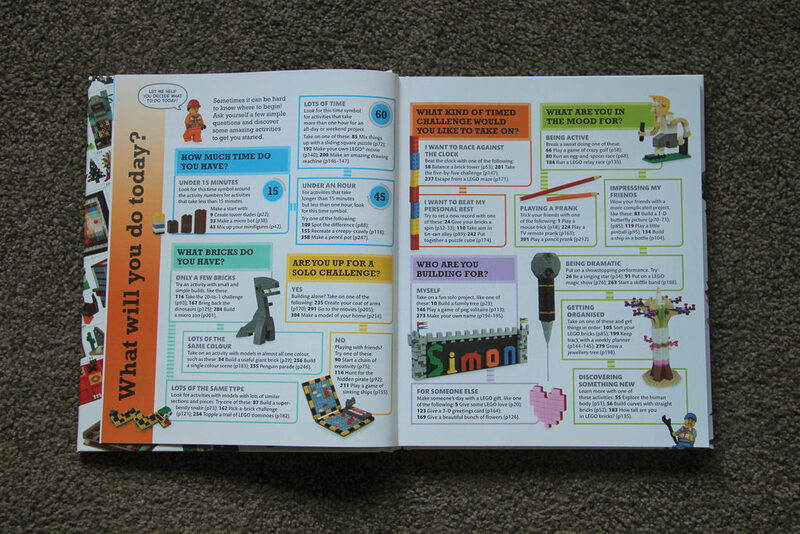 Each small section of these pages include some ideas to get you going, and their respective page numbers, and are easy for kids to understand. 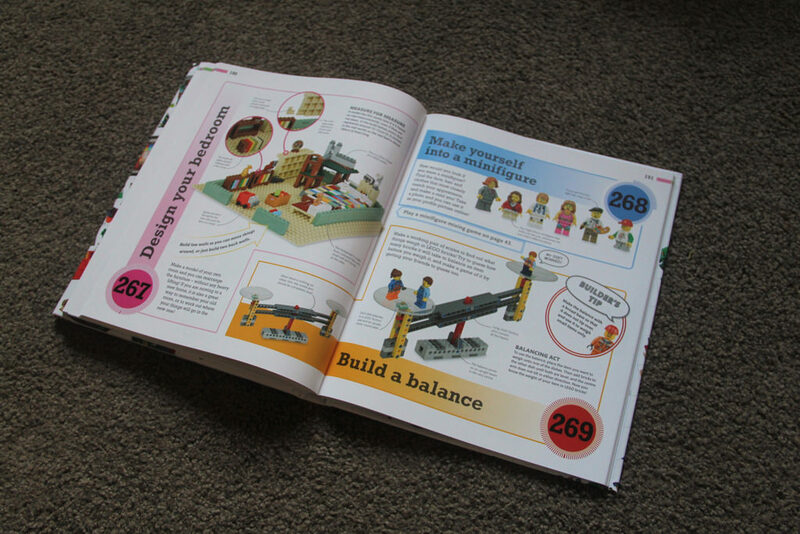 Before going into the things to do, the book describes the basics, from making basic connections, to speaking the lingo, some basic LEGO maths and concepts, to SNOT techniques, and more. After that, it’s on to the things! Like I mentioned earlier, I pressed the selector a few times to give everyone an idea of what’s included. Here’s what I got. 234: Play a game of grab-a-brick. This one is pretty quick – scatter some bricks on the floor, and throw a small ball up into the air, grabbing as many bricks as you can before the ball hits the ground. It goes into maybe using colours as different scores. 200: Make an amazing drawing machine. I remember these as a kid, except this one is built with LEGO. Simple, and it teaches kids about gears. 162: Pick-a-brick challenge. Much like the well known Iron Builder (which is back by the way – check yesterday’s post if you missed it), choose an element, and see how many different ways you can use it. 267: Design your bedroom. Very clever and so simple an idea! As long as you have enough parts, recreate your bedroom out of LEGO, and maybe try a redesign or two. 127: Size up a scale challenge. Recreating existing LEGO models with fewer bricks. Introducing fans to microscale like this is effective, and fun. 53: Go panning for gold. Lastly, this one recreates the mechanism of the LEGO sorting head, with a grille made from LEGO plates, getting smaller as they go down. 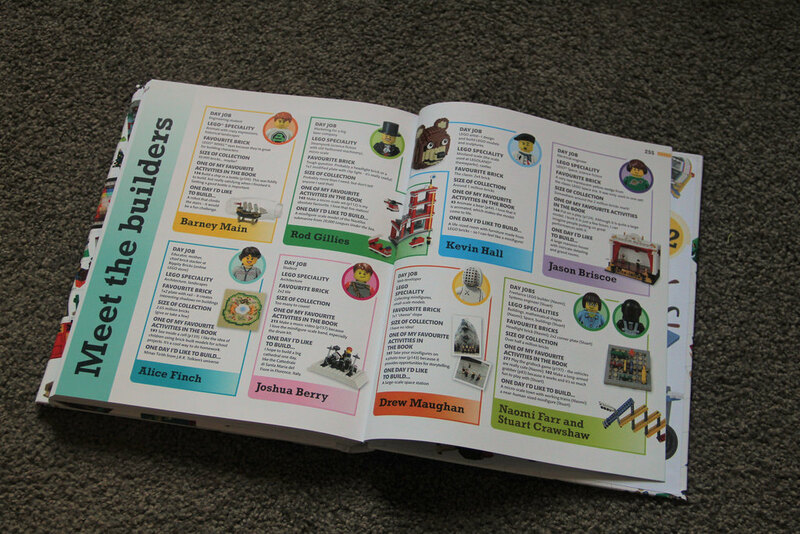 ​At the back of the book is a Meet the Builders section, with biographies on each of the builders – Barney Main, Alice Finch, Rod Gillies, Joshua Berry, Kevin Hall, Drew Maughan, Jason Briscoe, Naomi Farr and Stuart Crawshaw. 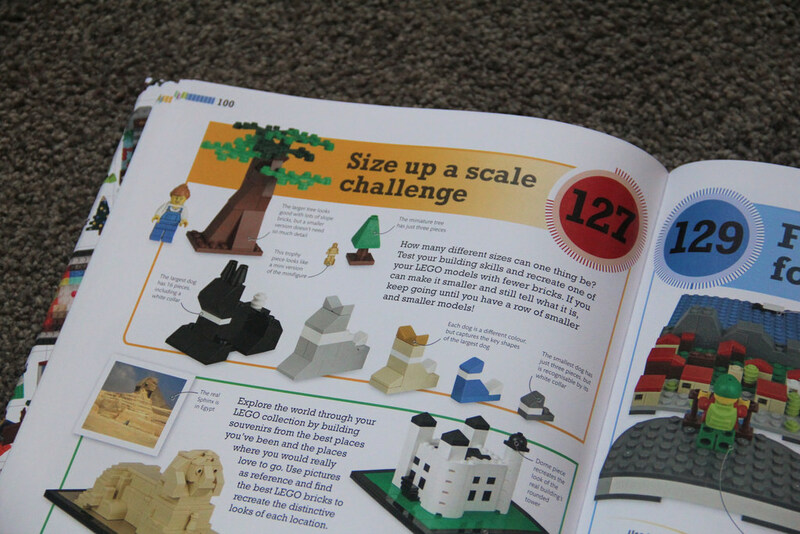 As you can see, there’s plenty of variety in this publication, with something appealing to every LEGO fan, regardless of age. You can buy a copy for yourself at all good bookstores, for $39.99. It’s a fantastic read and I’m very happy I got such an excellent present! Thanks Mum and Dad.